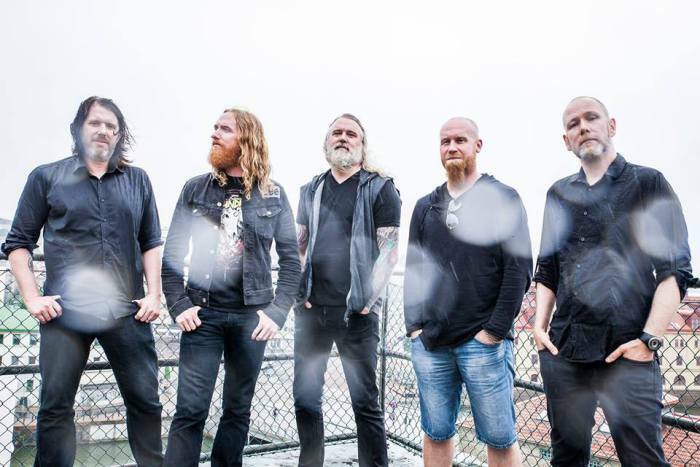 The latest single from Swedish melodic death metallers, Dark Tranquillity, has been released. The song, Forward Momentum, is another track from the band’s album called Atoma. Atoma is due to be released on November the 4th through Century Media Records. I really, really, liked the first song, title track Atoma, though a few others on the sites podcast, check it out here – GBHBL Podcast, weren’t completely convinced by it. Still, I love it and that has made me really excited to hear some more music from the band. That comes in the shape of this new track, Forward Momentum, released along with a dark and gloomy music video. Coming in at just over 3 minutes and 40 seconds long, it is a reasonably short, sharp trip through sadness but the fact that their music commands such strong emotion is commendable. The song starts with some exceptional rolling thunder sort of drumming from Anders Jivarp with the odd, understated effect adding a bit more meat to the intro. It isn’t long before the main riff of the song joins in with a stuttering, shredding riff and that riff is soon joined by Martin Brandstrom with keyboards adding volume to the music but not staying more in the background than with the track Atoma where the keyboard appeared to be the lead. The song follows a pattern of soft sung verses with heavy chorus. I really enjoy listening to Mikael Stanne. He has a great voice, whatever style he is singing. Lyrically the song seems to be about the destruction people leaves in their wake as they attempt to keep themselves moving forward. It is a familiar topic in metal and one that will ring true with many people, is very relevant and certainly explains the gloominess of the song and its video. After the usual 2 verse, 2 chorus we are treated to a brilliant little guitar solo from Niklas Sundin which sounds packed full of feeling before the instruments all join in for a big ending. The video is the perfect accompaniment to the song showing lead singer Mikael driving along a grey, never ending highway with a burning skyline behind him. 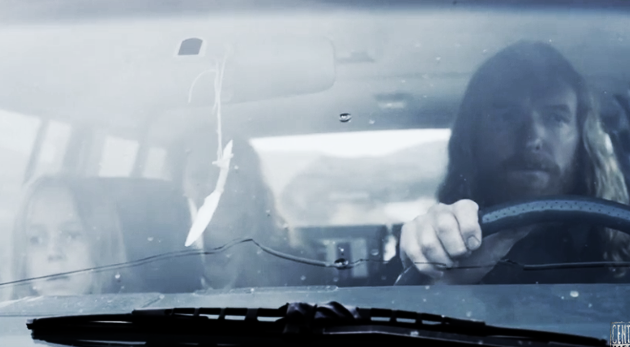 His family appear to be in the car with him before an argument leaves Mikael and his daughter saying goodbye to what appear to be his parents and eventually arriving at a shuttle. Writing about it doesn’t do it justice. Watch the video while listening to the song. I think you will be impressed. Well, for me, they have done it again. This is a brilliant song and the new album, based on these songs so0 far is going to be one of the best albums of the year. This is a band at their absolute best. Another amazing track from the masters of melodic, death metal. Their album is going to be huge. This song, just like the previous, have blown my mind. Awesome.